Sometimes the heavens reward us with divinely inspired artists. 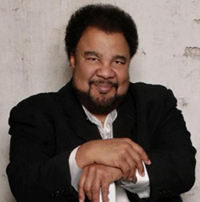 One such individual was Grammy winner George Duke. Keyboardist, composer, singer, producer, arranger, director, writer, and professor of music, Duke went boldly into the recesses of music, performing and experimenting in multiple genres of melody. His talent knew no bounds as he explored electronic, acoustical, jazz fusion, Latin, Brazilian, avant-garde, gospel, mainstream, funk, R&B, Soul, etc. You name it and Duke could produce it, arrange it, play it or write it. GeorgeDuke. Duke, whose musical career spanned over 40 years, died of chronic lymphocytic leukemia, on August 5, 2013 at age 67, in Los Angeles. His death follows on the heels of his beloved wife, Corine, who died from cancer on July 18, 2012. People express grief in various ways and for Duke, momentarily the music stopped. 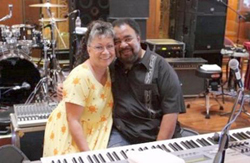 He was unable to make music for months after Corine’s passing. Eventually he conquered his grief by creating the album “Dreamweaver,” in tribute to Corine. The song “Missing You,” is an expression of his love. Mr. Duke was born in San Rafael, Calif. He attended Tamalpais High School in Mill Valley, before earning a bachelor’s degree in composition and trombone from the San Francisco Conservatory; later earning a Masters Degree from San Francisco State University. He went on to perform with Frank Zappa and played in the Don Ellis Orchestra. He met Stanley Clarke with whom he formed the Clarke/Duke Project producing the hit song “Sweet Baby” which ranked in the Top 20 on the Billboard pop charts. 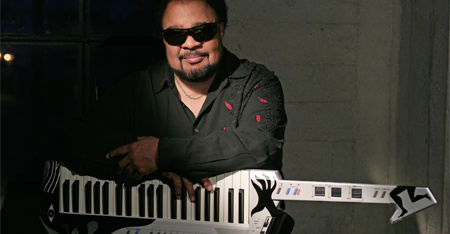 Duke played with the Canonball Adderley Band and also as a keyboardist on Michael Jackson’s album “Off the Wall.” He became a solo artist in 1976. Many people also remember George’s collaboration with French violinist and composer, Jean-Luc Ponty. He released more than 30 solo albums. 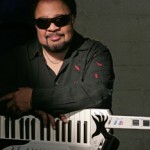 He also produced for Miles Davis, Smokey Robinson, Gladys Knight, Dionne Warwick and Natalie Cole. Duke blended his talents with a number of artists which included his cousin Dianne Reeves. He collaborated with Teena Marie, Rachelle Ferrell, Al Jarreau, George Clinton, Anita Baker, Chante Moore, Marilyn Scott, Herb Ellis, Jeffrey Osborne, Sheila E and Deniece Williams. 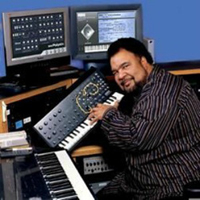 As a record producer and composer, he worked with Miles Davis on his albums “Backyard Ritual” and “Cobra.” Duke ventured into Brazilian music working with Milton Nascimento, singer Flora Purim and percussionist Airto Moreira, recording the album “A Brazilian Love Affair.” He worked on Jill Scott’s album “The Real Things: Words and Sounds Vol. 3, and guested on the track “Whenever You’re Around.” In 2011, he toured the US with David Sanborn and Marcus Miller as part of a trio, performing in over 20 sold out shows. Souly – Thank you for sharing! Unbeknownst to you, this was a very timely series of interviews!